Ladies and gentleman, coming to a split-screen Quentin Tarantino action sequence near you, I give you the Budos Band! A veteran instrumental afro-beat outfit home-based, like Sharon Jones, on the Daptone label, The Budos Band produces the type of minor-key, brass-and-organ-driven Booker T-ish soul known to drive pulp hipsters of Tarantino's ilk wild. Taken in small doses...VERY SMALL DOSES...it's a fabulous retro, blaxploitationy sound. 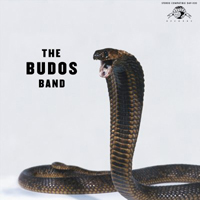 Unfortunately, we're talking about full lengths here, not singles, and if there was ever an annual award given for detrimental same-i-ness, The Budos Band III would win the 2010 edition hands down. After killer opener Rite Of The Ancients, which just has a certain undeniable "rightness" to it, the album settles in with ten more fine but literally indistinguishable tracks. As mix tape fodder, the songs are all great, but taken back-to-back-to-back, I find it impossible to stay engaged for more than a few minutes at a time. I give The Budos Band III very high marks for execution, style, and sound, but cherry picking your favorites from this release is probably the smart way to go. Cherry Picker's Best Bets: Rite Of The Ancients , Unbroken, Unshaven , Budos Dirge , Mark Of The Unamed . Here's a live on-air version of Rite Of The Ancients. What are your thoughts on The Budos Band III? Let readers know with a comment.